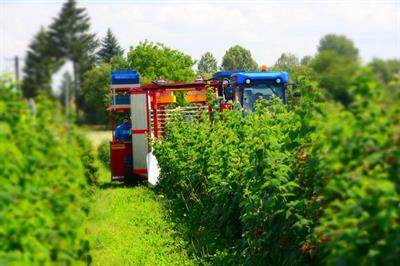 KAREN is the newest solutions of raspberry and blueberry harvester. It guarantees effective picking and very high quality of harvested fruits with minimum operating actions and constant working parameters. Innovative covers and the sealing system minimizes fruits losses and increase efficiency of cleaning unit. The technological solutions found in KAREN allow to work on plantations in all conditions. The harvester quaranting effective and comfortable fruit collection. Ten film jest zapowiedzią najnowszej oferty skierowanej dla producentów borówki, malin, jagody kamczackiej, porzeczki aronii a także wiśni i oliwek. Kombajn KAREN to nasza propozycja na 2018 rok. 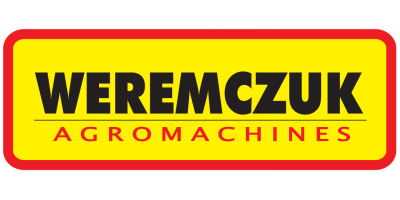 Wkrótce więcej szczegółów. This movie is a preview our newest offer for picking blueberries, raspberries, haskap, aronia, currants and also sour cherries and olives. KAREN harvester is our proposition for 2018 harvesting season. More details soon. No reviews were found for Karen - Raspberry and Blueberry Harvester. Be the first to review!